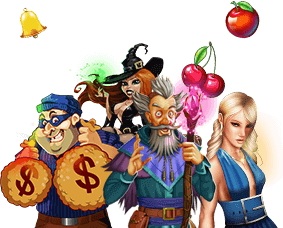 Slots of vegas Casino knows what players want and that's why we offer you an exceptional online casino environment. Every player in our casino has access to the best online casino bonuses, monthly free chip offers and an attentive customer support team to assist you 24 hours a day/ 7 days a week. Over the years we've had the opportunity to hear from some our players and their online casino experiences and we wanted to take the opportunity to share some of their comments with you. We have posted some of them below for you to enjoy. "I have played in many online casinos but Slots of vegas keeps the action hot, with unique and large cash prize promotions. I will definitely continue to play at Slots of vegas Casino." "Your casino staff are right on, they understand me and are what I consider to be service superstars. Your staff is great! Guess what? I keep winning at Slots of vegas... thanks a million!